At Carver Chiropractic Center, we take great pride in providing the finest chiropractic wellness care to our patients. Below is a sampling of the different chiropractic services we offer in our Huntingtown office. We provide advanced spinal correction utilizing "state of the art" chiropractic techniques. Never in the history of chiropractic have we been able to provide the level of help and expertise that now exists. These newer correction methods are even safer, more comfortable and more effective than ever before. As a Doctor of Chiropractic, Dr. Daniel Behe has years of training and experience in spinal adjustment. We teach our patients special "blueprint" exercises to help strengthen and correct their own unique problem. These exercises can be performed in the comfort of your own home and can improve the effectiveness of your spinal correction. In addition to skeletal misalignment, muscles and connective tissues can be out of place or strained by improper alignment and use. Specific exercises and stretches can help your body stay in balance and in good health. Avicenna Class IV Laser is a high power laser that has the ability to stimulate and accelerate tissue healing. With a continuous mode of treatment, it can penetrate from superficial to extremely deep beneath the skin, which enables the accelerated treatment of superficial wounds,sprains/strains, and most importantly, deep intra-articular tissues (inside points) that have been considered unreachable by any other physical therapy modalities. Increased growth factor response within cells and tissues, which increases ATP and protein synthesis. Accelerated cell reproduction and growth that allows for faster repair of damaged tissues. Increased metabolic activity by way of improved enzyme output, which gives rise to the oxygen and nutrient availability. The effects of the laser provide faster wound healing, reduced fibrous "scar" tissue formation, anti-inflammation, and pain (analgesia) improved vascular activity, increased metabolic activity, improved nerve function at the site of the injury, regulation of the immune system, accelerated tissue repair and cellular growth. Even professional sports teams such as the Boston Celtics, Detroit Tigers, and Detroit Lions, Miami Dolphins, San Diego Chargers, New York Jets and the New York Giants have been using the class IV laser to treat injured players for years. Major medical research centers, such as Cedar Sinai Medical Center, Orthopedic Department, and Cornell Medical University have also begun to utilize this technology. Myofascial trigger point and tender points which appear in soft tissue, and are painful sites, reflect abnormal nervous system activity associated with many neuro-musculo-skeletal conditions that are treated in our office. The procedure known as Dry Needling is an important tool for diagnosing, treating, and monitoring changes in myofascial trigger/tender points. During this procedure, a sterile, very thin, solid filament needle is inserted into the tissue that may be associated with one or a number of your complaints. One or a number of needles may be used, and the procedure may be performed during more than one office visit. The number of needles and the frequency of the procedure will depend entirely on your condition at each office visit. There is little to no pain with this procedure. The Graston Technique is an innovative, patented form of instrument assisted soft tissue mobilization that enables clinicians to effectively break down scar tissue ans facial restrictions. The technique is performed with stainless steel instruments designed to specifically detect and effectively treat areas exhibiting soft tissue fibrosis or chronic inflammation. Treatment with the technique is conducted in concert with a rehabilitation regimen designed to restore patients to their pre-injury level of activity. This is accomplished by implementing a functional progression program which zeros in on patient imbalances throughout the kinetic chain. Flexibility, strengthening and muscle re-education is employed to provide patients with optimal results within a minimal number of treatment sessions. Achieves success where other forms of traditional treatments have failed. Fosters faster rehabilitation recovery, and ultimately returns the patient to a higher level of function after trauma, surgery or repetitive stress injuries. Allows patients to remain on the job. 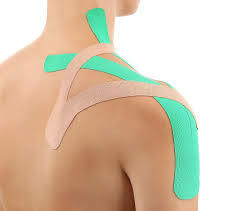 The Kinesio Taping Method is a definitive rehabilitative taping technique that is designed to facilitate the body’s natural healing process while providing support and stability to muscles and joints without restricting the body’s natural range of motion as well as providing extended soft tissue manipulation to prolong the benefits of manual therapy administered within the clinical setting. Wearable for days at a time, this therapeutic tape is safe for populations ranging from pediatric to geriatric, and successfully treats a variety of orthopedic, neuromuscular, neurological and other medical conditions. By targeting different receptors within the somatosensory system, Kinesio Taping alleviates pain and facilitates the healing process by microscopically lifting the skin. This lifting effect forms convolutions in the skin increasing interstitial space allowing for a decrease in inflammation of the affected areas. The Sunlighten Solo System is a personal sauna equipped with Chromotherapy lighting. 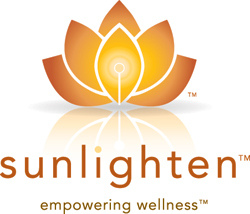 With sunlighten infrared heat, you are empowered to improve your quality of life. The benefits from light therapy range from weight loss and detoxification to lowering blood pressure and improving circulation. In addition to the many healing properties of infrared light therapy, this system offers Chomotherapy lighting. Chromotherapy is the science of using colors to adjust body vibrations to frequencies that result in health and harmony. Each color possesses frequencies of a different vibration, and each vibration is related to different physical symptoms. Chromotherapy works on various energy points to help your body re-establish its natural balance. Detoxification- Detox from a Sunlighten sauna is 7 to 10 times greater than a conventional sauna. In a conventional sauna the average person sweats out 3% toxins and 97% water. In a Sunlighten sauna, the average person sweats out 20% toxins and 80% water! Pain Relief- Relieve back, neck and arthritis pain with infrared sauna heat therapy. Researchers studying HRP (Heat Responsive Pain) have observed remarkable theraputic benefits by using continuous low level heat therapy for treating lower back and upper body pain, all conditions that fall under the HRP classification. A 30 minute infrared sauna session can burn up to 200-600 calories! As the body works to cool itself while using an infrared sauna, there is a substantial increase in heart rate, cardiac output and metabolic rate. Sunlighten's infrared heat therapy raises core body temperature causing passive cardiovascular conditioning. Your body's natural response to infrared heat therapy is to increase circulation and sweat. Check out the results with a heart rate monitor and you will be amazed! Our solocarbon heaters were used in a clinical study with the University of Missouri Kanssas City in 2005 and were shown to lower blood pressure from a 30 minute session three times a week. Repeated infrared treatment improves impaired blood vessel functions in patients with high blood pressure, diabetes and high cholesterol. This suggests a preventative role for sauna use for arteriosclerosis. Heating of muscles with infrared produces an increased blood flow level similar to that seen during exercise. Body temperature elevation also produces an increase in blood flow. Infrared heat assists in resolution of inflammatory infiltrates, edema and exudates. The increased peripheral circulation provides the transport needed to help evacuate the edema which can help end inflammation, decrease pain and speed healing. Improve your skin's appearance with regular use of a Sunlighten sauna. Open wounds heal quicker with reduced scarring. Infrared heat therapy helps acne, eczema, psoriasis, burns and any skin lesions or cuts. It also reduces wrinkles, makes skin look radiant, firms and improves skin tone and elasticity. Regular use may also help reduce cellulite trapped beneath the skin, lessen the appearance of scars, and help burns heal significantly. Cox is the centerpiece of the last stage of mitochondrial energy production, Complex IV. Cox utilizes energetic electrons and protons from opposite sides of the inner mitochondrial membrane to turn one molecule of oxygen (O2) into two molecules of water (H2O), in the process contributing the energy required to form ATP. But a number of small molecules can displace the O2, spoiling the reaction and acting as inhibitors of ATP synthesis. These include cyanide (HCN), carbon monoxide (CO), hydrogen sulfide (H2S), and nitric oxide (NO). If too much oxygen is displaced, as in cyanide or carbon monoxide poisoning, cells die from chemical asphyxiation. Nitric oxide is a native molecule of crucial importance for health, especially cardiovascular health. Nitric oxide generation by ultraviolet light (UV-A) is probably a major reason for the healthfulness of sunshine. Nitric oxide is commonly generated by stressed cells (for example, during the heat shock response) to support cellular health, in part by increasing blood flow. However, the binding of NO to Cox, inhibiting mitochondrial respiration, can be an unwanted side effect. It turns out, fortunately, that red and near infrared light photodissociate NO from Cox, leading to its release from mitochondria back into circulation with beneficial effects on blood flow. Removal of NO from mitochondria appears to be the mechanism by which red light phototherapy enhances mitochondrial respiration  [7a] [7b]    . Supporting evidence: provision of NO abolishes the cellular effects of red and near infrared light. First, it illustrates the relative transparency of human tissue in the red (and even greater transparency in the infrared). Transparency in this frequency range appears to have been evolutionarily selected, to the point that one molecule – cytochrome c oxidase in mitochondria – absorbs 35% or more of red light. If it was so important to let red light reach mitochondria that other human molecules had to evolve transparency in the red, then it is surely important for us to provide our mitochondria with red light. Second, when tissues are injured, they release extra nitric oxide, and NO bound to Cox absorbs red light, making the injured tissue more opaque in the red. 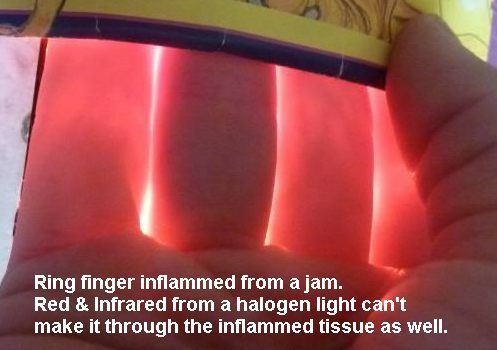 In this case the middle finger had been jammed; due to the injury it passes significantly less red light than the fingers on either side. Even when light is applied locally, some of the benefits may be shared systemically. For instance, exposure to light causes release of NO from mitochondria and also an increase in NO levels due to photoactivation of nitric oxide synthase. Elevation of NO anywhere increases blood flow throughout the body. In one experiment, one hand was irradiated with white light; blood flow rate increased 45% in the irradiated hand and 39% in the non-irradiated hand. Irradiation with white light has been found to increase antibody production, presumably improving immune function. Light exposure has also been found to have anti-inflammatory effects. For example, white light exposure reduces levels of the pro-inflammatory cytokines TNF- α, IL-6, interferon-gamma, and interleukin-12 and increases levels of anti-inflammatory cytokines interleukin-10 and TGF-beta. Other studies have found that UV radiation increases TNF-α, IL-6 and other pro-inflammatory cytokines. So it is likely that the anti-inflammatory effects of the white light were chiefly due to its red and near infrared components. These anti-inflammatory effects may shed light on the improvements hypothyroid subjects experienced from near infrared phototherapy. TNF-α and IL-6 suppress peripheral thyroid hormone metabolism by decreasing T3 and increasing rT3. Inflammation seems to commonly trigger hypothyroidism, while anti-inflammatory strategies are almost always therapeutic for hypothyroidism. Epidemiological evidence suggests that light exposure improves serum lipid profiles. At mid-latitudes, serum cholesterol levels typically rise 5% to 10%, but HDL cholesterol levels decrease, in winter. Blood pressure is also higher in winter. Lack of red light may be the reason. In a pilot study, red light exposure reduced serum cholesterol levels in 84% of subjects.